If your networking devices are capable of being powered over Ethernet, then it's better not to to run a separate power cord. That's when you should use a PoE injector. However all the power injectors are not same, they have different voltage, power and efficiency rating. So here's a list of best PoE injector to help you to choose the right product. There's few essential parameters such as voltage and power you should check before selecting the best PoE injector for your particular purpose. Without taking account of them you may end up wasting unnecessary time or even damaging the device. There's two type of PoE injectors, active and passive. Active injectors detect the voltage required by the powered device(PD) and adjusts the voltage automatically. But the output voltage of the PoE injector is very important for passive PoE power source injectors. As higher voltage may fry up the end point device, or the device won't turn on if the supply voltage is low. Generally the voltage is 12 v, 24 v or 48 v, and up to maximum 57 V. So make sure the adapter match the maximum input voltage of the PoE powered equipment. Here I want to add something more. The PoE powered device doesn't use the higher voltage directly. There's one or many buck converter which brings down the voltage to either 5 V or 3.3 V.
So, if the supply voltage is a little higher of lower, it should not cause any problem. As example, you could safely use a 12 V PoE injector with a IP camera rated for 9 V input. Generally the PoE powered devices are not that much power hungry, around 5 to 20 watt. But when the power consumption rises, you need to push more and more current through the Ethernet cable. As a result some of the power is also lost as heat on the cable, specially when the Ethernet cable is long. So, to compensate the power loss and voltage drop, you should choose a device which is capable of pushing few watts more than the rated power of the device. As example, choose a 10 watt PoE injector for a device with maximum power consumption of 8 watt. If you have to install many PoE powered devices, it's wiser to choose a PoE injector with multiple ports. Well, it could not only dramatically cut the cost down compared to several individual injectors, but also much less chance of cable mess. For small installations, there's many good 4 port to 8 port Gigabit POE injector in this list, choose any of them according to your need. Sometimes speed is also an important factor. To get the best out of your network, the PoE injectors should be capable of at least 1 Gbps speed. As example, while installing several outdoor IP camera over PoE, videos may lag due to slow speed and inappropriate configuration. The word best isn't actually suitable here. You should choose the product depending on your budget and requirements. 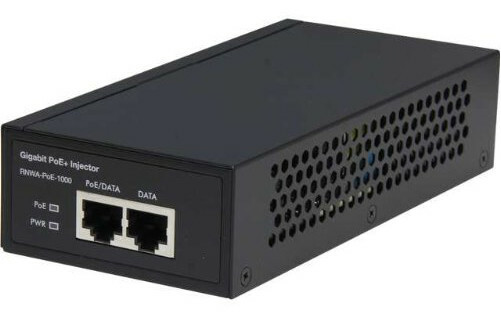 But if budget is not an issue, then you should buy a Gigabit multi port Ethernet power injector and future proof your network installation for quite some time. Here's the list of some best of the best PoE injectors available in the market for different purpose and within different price range. 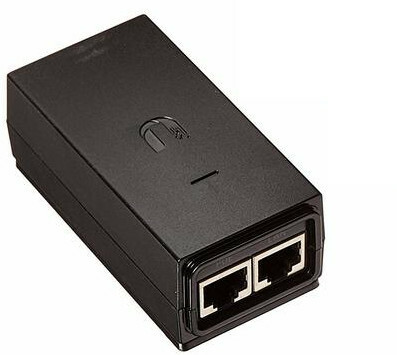 One of the best rugged and reliable single port PoE injector you could get without spending a fortune. Power- Up to 30 watts. Range - Maximum 100 meter. Build quality- Metal enclosed body, excellent build. The design is very neat, compact and ruffed. The AC to DC power converter is inbuilt inside the casing, and there a 3 pin power adapter to connect it to the AC wall plug. The metal covered body keeps the whole unit cool enough to run it 24x7 without any problem. 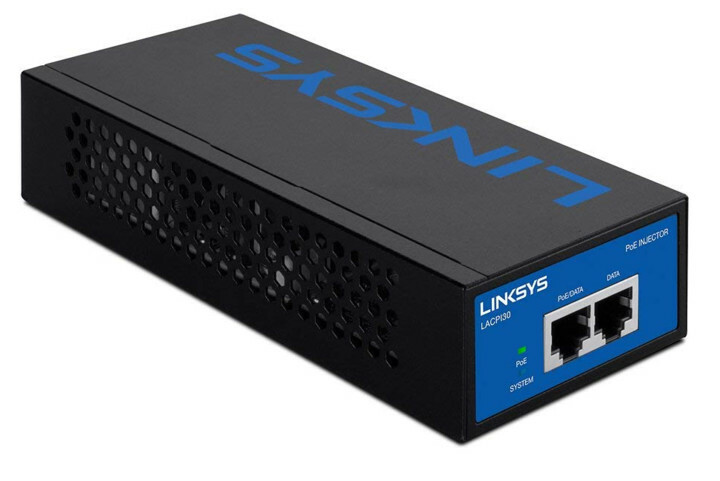 So, the Linksys LACPI30 is a good choice if you're looking for a high quality and reliable single port PoE injector. If you're looking for a multi port PoE injector with Ethernet switch facility for multiple network cameras, multiple WiFi access points or a NVR, this product from Ubiquiti could be the best for you. It's a 8 port switch with 4 PoE capable ports, total power of up to 60 watt. The 16 Gbps switching capacity is huge, it can simultaneously through 1 Gbps connection on both direction through the 8 ports. The switch management software from Ubiquity is really advanced and packed with lots of features. And there's also some active surge and ESD protection mechanism, works best when the device is properly grounded. 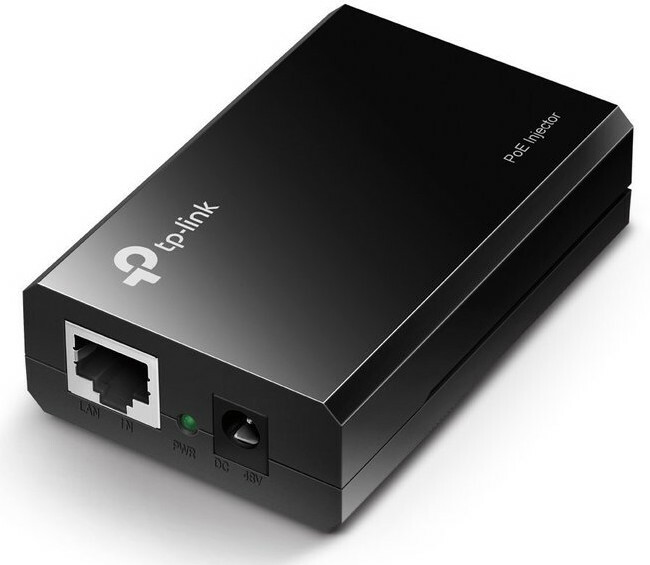 Well, it's also not very cheap, but one of the best Ethernet switch with integrated PoE injector. So, you can buy it for your multiple network cameras and NVR system. One of the best PoE injector with a cheap price tag from a networking product focused company, Ubiquiti. 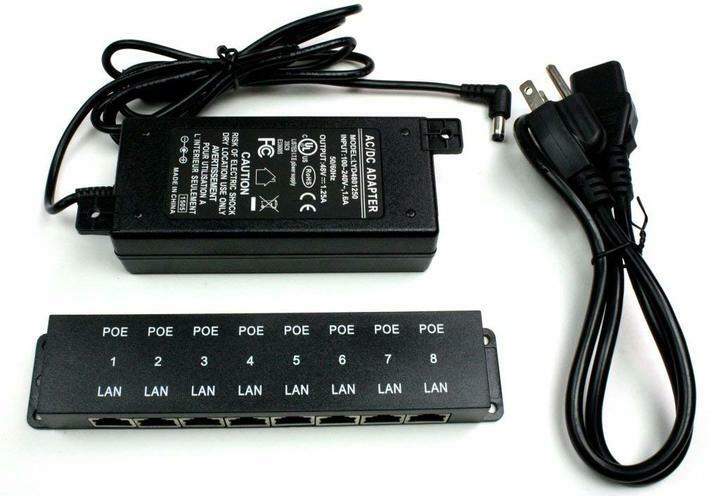 You can guess the power and voltage rating from the name itself, it's 24 V PoE adapter with 12 watt maximim power output. Ubiquiti PoE injectors has an edge over other injectors due to their superior surge protection and ESD safety. The power cord is grounded, and it's highly recommend to use it with a properly grounded AC wall plug to get the maximum benefit of ESD protection. So, this could be your best PoE injector if you're looking for outdoor installation within a reasonable price range. Of course by outdoor I mean the PoE adapter stays inside the home, the WiFi access point is installed outdoor. However if Gigabit speed is not your priority, then there's a cheaper alternative, Ubiquity POE-24. This product from RoseWill got the looks and build quite similar to the above Linksys product with a slightly cheaper price tag. Power- Up to 42 watts. Build quality- Metal encased body, very good. This might be a knock off of the Linksys product, at least from outside, however it almost never failed to satosfy the users, according to most online reviews. So, if you're looking for a neat and clean PoE injector and also willing to save few bucks, this might be the best option. If you're looking for a cheap Gigabit PoE injector that just works, this product from TP-Link has it all. Well, the power adapter for this PoE injector is built outside, and the power cord is also not grounded. There's not much potential of ESD protection. So, better use it for only indoor products such as VoIP phones. So, as I've said before, it's a good product for indoor and desktop use, such as VoIP phones, indoor IP camera or indoor access points. Well, despite it's a weird name, it's the cheapest 8 port passive PoE injector that works just fine. Well, that's the whole the box content. If you look carefully, clearly this product is designed for wall mounting. The power supply is built separately, and the input is a DC barrel jack, so you can use any power supply of your choice. Even you can use a lead acid battery directly, that's much more efficient compared to DC to Ac inverter. As there's no inbuilt surge and ESD protection in this device, so you must take care of that while installing PoE powered devices on a high mast. So, that's the end of the list of bets PoE injectors. I've chosen all the best items in this list based on my personal experience and reviews from different forums. Hope all the item listed are good enough for your particular purpose. If you have some question or a better product recommendation, just leave a comment.